We transfer files from virtually all computer disks. We can convert files and disks to other formats, as well as bespoke programming to help migrate old data archive systems to new media. We have assisted in transfer from from MO disks, Dicom MODs, floppy disks, for PC, Unix, Solaris, DOS, Windows as well as proprietary Medical PACS systems, Electronic Document Management Systems MDS EDMS. We can write bespoke programs to translate data from archaic filesystems and export to new modern storage via CSV XML with bespoke file naming. 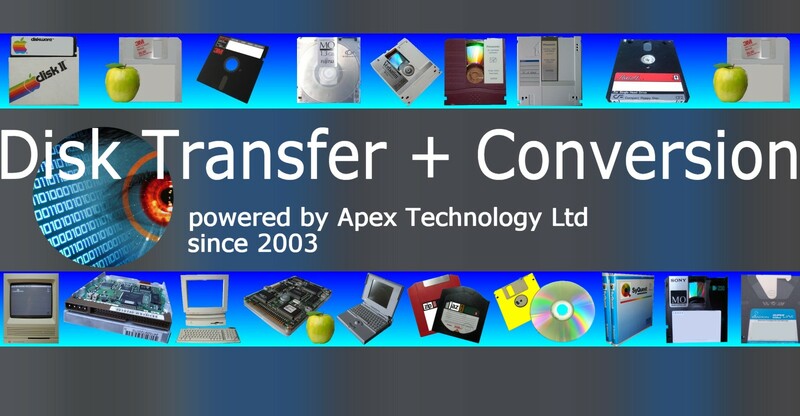 If you need a Convert Disks and Transfer Files and Data Export service, then contact our friendly company. We transfer files from virtually all computer disks. We can convert files and disks to other formats, as well as bespoke programming to help migrate old data archive systems to new media. We have assisted in transfer from from MO disks, Dicom MODs, floppy disks, for PC, Unix, Solaris, DOS, Windows as well as proprietary Medical PACS systems, Electronic Document Management Systems MDS EDMS. We can write bespoke programs to translate data from archaic filesystems and export to new modern storage via CSV XML with bespoke file naming..